Now that you have booked your fishing charter, it is time to figure out what all you need to bring with you on your trip. 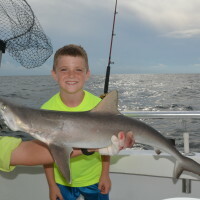 We provide a well maintained boat, your fishing license, fishing tackle and plenty of cut bait for each trip. That means you do not have to go out and buy any of those things. 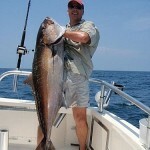 Now we will tell you what you need to bring with you on your fishing charter below: A little farther down the page, we will also tell you what you need to leave behind. We love People who are funny, fun, sarcastic, nerdy, shy, quiet, goofy, gullible! We enjoy them because they keep everyone on our toes and laughing. We love a fun crowd, just not a rude, grumpy, cheap, drunk or strictly – meat hunters. If you have anyone in your family who is a pain in the rear, let us know ahead of time so we can have some fun picking on them (in a fun way). If you have a son in law or a child that you pick on yourself, let us know and we can join in on the fun. We enjoy laughing and playing mild practical jokes on everyone. Clothing – Please wear protective clothing against sunlight, rain or wind. For the purpose of photography, we encourage you to wear bring Bright Colored Shirts like Red, Orange, Blue, Green, Yellow. (White is OK, but with bright sunshine, you don’t show up good in your pictures. (Black or gray shirts don’t make good pictures at all – so don’t be expecting those to turn out well.) It is OK to wear your swim suit if you like. You are not going to get wet on our boat because we have an enclosed air conditioned sitting area. Hats and Shoes – For safety reasons, we recommend that you wear shoes with toes or sandals that securely fasten to your feet. Tennis Shoes, shoes with heels, Sunglasses, Hat (if your bald) and any clothing that protects your skin from the sun. Flip flops or Shower Shoes are NOT the safest choice and often stick to the wet deck and when you step, the center piece between your toes often pulls through or tears. Shoes that have a toe and heal strap work best. Going Barefoot is ok- Remember to be careful because you can step on fish fins or a misplaced hook. I always advise people to wear shoes that at least cover the tips of your toes, but they are not required. Food, Beverages, Snacks – Small Personal Cooler, Food, Drink (your favorite adult beverage should be in cans). Your cooler should be clean and has not been riding around in the back of your farm or work truck with grease or mud all over it. Only bring one cooler, please. We have limited space on board and usually one cooler up to 48 quarts is plenty big enough to handle your food and beverages. Please do not bring any Hard Liquor – This ain’t no booze cruise. Drunk people are a liability and we don’t like being around people who over do it. A few beers (1 per hour) each is fine though. Remember to bring WATER or FLUIDS for your family. It is hot out there and you will dehydrate if you don’t drink enough fluids. Basics – Towel to wipe your hands. (after you bait your hook). Please wipe your hands after you bait your hook. This way you won’t be smearing oily, fishy bait on our rod handles. It dries sticky and is very hard to clean off. Sunscreen (should be applied as directed) Be sure to apply RUB ON sunscreen before going deep sea fishing. Avoid bringing AEROSOL spray on sun screen because it goes all over the deck and creates a slip hazard when sprayed. If you spray it on inside our cabin, it will over spray and ruin our carpet. Please stick with old fashioned rub on lotion and avoid aerosols. Sunglasses are helpful because it is bright outside. I will ask you to take your sunglasses off during photo sessions because your pictures will turn out better when we can see your eyes. Motion sickness medication – (Bonine®, non-drowsy Dramamine® or the Scopolamine® Patches from your doctor). Some people get the prescribed patch and cut them in half – so they can share one with another member of the group. Regular Dramamine usually makes people extremely drowsy per our experience. Ask your doctor, but Benadryl® might be an option. I know, it makes you sleepy, but so does Dramamine. Grumpy, Negative, Cheap or Drunk People . Over the years and from time to time, we have had wonderful trips except for that one special person (we all know one or have one of them in our family or as a friend), who makes everyone Else, miserable and complains about everything from travel time, fish size, not being able to keep fish because they are out of season or too short. The list continues. We also have people who have been invited and have not budgeted for these trips or are expected to pay the deckhand fee. 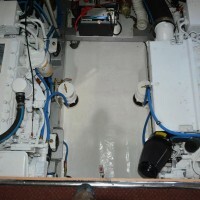 It is important that they are prepared and have enough cash to take care of the deckhand properly and adequately. If this happens, we are looking to you (the person who booked the trip), to make up the difference. Life is short. 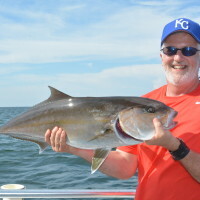 If you want to have a wonderful experience and enjoy deep sea fishing the way we do it, you might want to leave these people listed above at the condo or at a rest area on the way to the beach. LOL. The Expectation of filling the cooler or fishing for limits on any trip. We take you fishing and to have a good experience. 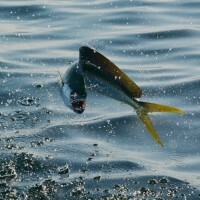 If you participate and the fish are biting well, you will catch a lot of them. If you don’t participate, you may not catch as many as everyone else. Due to current fishery regulations, bag limits and seasons, a lot of the fish you will be catching will not be able to be harvested and must be released. We want you to take as many fish as you need for a few meals, but we don’t rush you and go from one species to the next, trying to catch a limit. That is not what we do. We take you to fishing and do our best to keep your pole bent. Glass Bottles or Hard Liquor – It is OK to bring adult beverages (BEER- WINE COOLERS) as long as they are in cans or plastic. We just don’t care for glass bottles. They might break and cut someone. It also makes the trash can fill up faster and make it heavier. Please leave hard liquor behind – Drunken people are a liability on board and we had rather not have to deal with them. Spray On Sunscreen – The spray gets on the deck and makes a slip hazard. If you must use sunscreen, do so before getting on the boat. We recommend using lotion based, non-aerosol kind that has been around for a million years. Be sure to wash your hands before baiting your hook because the sunscreen can keep fish from biting your bait. Extra Coolers – We have limited space on board, so only one 48 quart cooler or smaller is allowed. From time to time, we have people show up with 3 or 4 coolers or one giant cooler which are simply too big or we don’t have enough room for. Since most of the fish after they are cleaned, will fit into a few ziploc bags, please bring only one cooler to the boat. Even a limit of 12 red snappers when they are cleaned, will fit into 2 or 3 one gallon zip loc bags. Shower Shoes or Sliders – These shoes are dangerous because peoples feet slide out of them due to them not having heel support. Please wear heeled shoes or go barefoot. Politics – The only politics we will discuss with you if asked, is those that relate to fishing regulations and how they affect your seasons and bag limits. The information we offer you will explain the process. All other politics is off limits.